It's always best to give us a call to find out... WHAT'S HOT and out of our oven for the day! 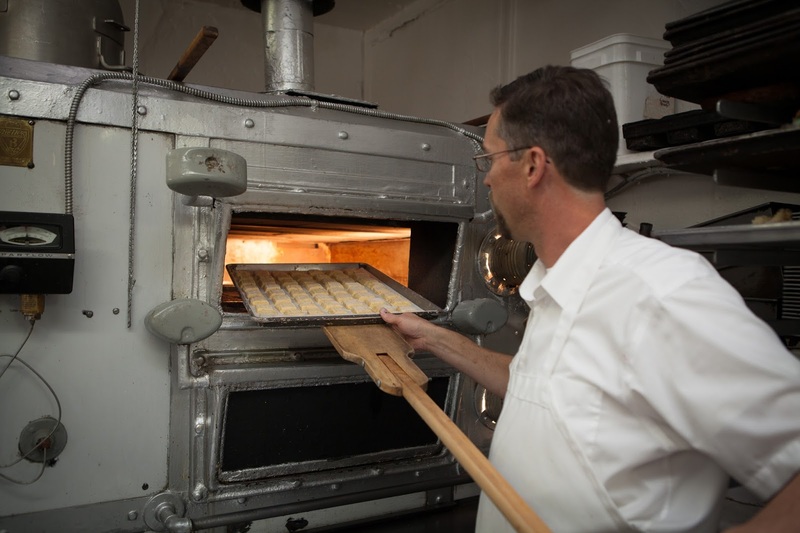 From before midnight to about mid-day there is always something coming hot out of our oven; and from day to day, the items we bake and "what's hot" are constantly changing. Why such change, you ask? There's simply not enough room in our oven, space in our store, or hours in a day to accommodate the variety of our full-line all at once. We also bake from scratch recipes, using the finest and freshest ingredients; and so seasons for fruit and the availability of quality goods direct our baking agenda. Holidays and holiday items always take priority in the line-up for the oven, and believe it or not, weather has an effect on what we bake. "What's Hot" for the day is also governed by you, our customers and the orders we have in hand. With great coordination at the oven, our bakers try to accommodate all requests, working daily to please those who come through our door! Though it is impossible to list when all our items are due hot from the oven, there is a schedule for some of our staple items that we generally adhere to from day to day. "What's Hot" throughout the week is listed below.